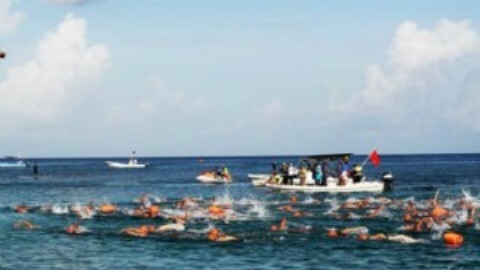 Last Sunday Cozumel was the scene of the 2nd annual 70.3 MetLife Ironman. The sold-out event, was attended by more than 1,500 athletes and their families cheering them on. Although it began to rain mid-day, local crowds still turned out to cheer on the professionals as well as the amateurs, many of which actually hailed from the island. In fact, two island residents, Rosy Zapata Vázquez and John Flynn, managed to secure spots in the World Ironman 70.3 which will take place in Quebec, Canada in September 2014. The official top 5 professional athletes and their times can be found here. Also of interest, Terenzo Bozzone, from New Zealand, took second place in the pro category, and wrote an interesting summary about the course, and what the day was like as a competitor. Local Cozumel blogger, Celia Maria Cherokee, wrote about what it’s like behind the scenes at the finish line. 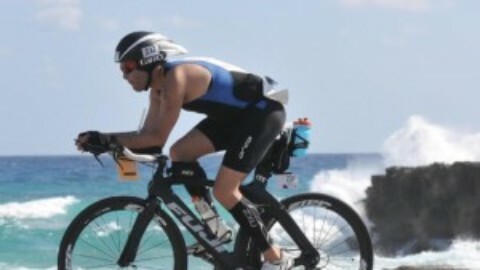 Although the 2014 dates for the 70.3 Ironman have yet to be announced, Cozumel is already gearing up for the Ford Ironman Cozumel which takes place on December 1, 2013.